Kurt Cobb writes frequently on energy and the environment. His novel Prelude provides a startling reinterpretation of contemporary events and a window onto our energy future. His work has appeared in The Christian Science Monitor, Resilience, Common Dreams, Le Monde Diplomatique, OilPrice.com, OilVoice, TalkMarkets, Investing.com, Business Insider, Econ Matters, Peak Oil Review, 321energy, and many other sites. He is a fellow of the Arthur Morgan Institute for Community Solutions and has a widely followed blog called Resource Insights. Cobb has worked as a newspaper reporter, an advertising executive, and a communications consultant to political campaigns. Just after college he interned for syndicated columnist Jack Anderson in Washington, D.C. writing radio scripts and eventually even a couple of columns. 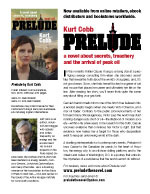 He is a graduate of Stanford University and now lives in Washington, D.C.
Kurt Cobb’s novel Prelude provides a startling reinterpretation of contemporary events and a window onto our energy future. 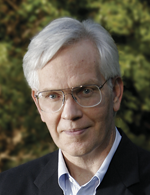 He writes a widely followed blog on energy and the environment called Resource Insights and his work has appeared in The Christian Science Monitor and many other places.